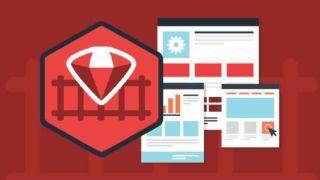 These developer courses will teach you everything there is to know about Ruby on Rails. Some of the best web apps are powered by Ruby on Rails. It's a powerful framework that can be used to create all kinds of incredible apps. You can learn to build your own apps and services using Ruby on Rails with a one-year, all-access pass to Codeplace, on sale now for just $29 (approx. £21)! You can become a Ruby on Rails rock star with the help of Codeplace. Get a full year of complete access to over 140 professionally-taught courses that will show you how to make use of the powerful framework. If you still have questions, you can tap Codeplace's community of over 30,000 developers to learn even more. You’ll go hands-on and learn by building four real apps, then you can let your imagination run while and create your very own from scratch. A one-year subscription to Codeplace usually retails for $348, but you can save 91 per cent off that price right now. That means you pay just $29 (approx. £21), a fantastic deal for full year of training!